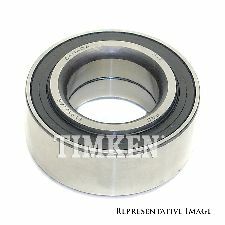 The best discount Wheel Bearing OEM Parts. 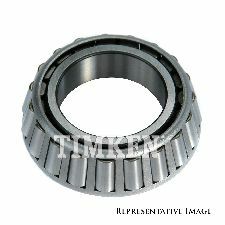 Our inventory is always being updated, searh for Wheel Bearing parts for the following makes. A Wheel Bearing is designed to reduce friction as much as possible to allow your wheels to spin as fast as necessary. Without a Wheel Bearing your wheel would fall off while driving. When should you replace your Wheel Bearings? Do a routine inspection on your Wheel bearings every 30,000 miles and you should be able to determine their condition. Dirt and debris that enters the Wheel Bearing while driving will reduce the lubrication inside and cause more friction, which will wear it down. A loud grinding noise while driving your vehicle. Wheel is vibrating violently or wobbling while driving. Your vehicle pulls to the side while braking. Heavy Duty - GVW Over 8,500 lb.